Prince William gives a nod to Time's Up campaign by writing a foreword in the BAFTA programme for Sunday's ceremony. The 35-year-old royal has been President of the prestigious British Academy of Film and Television Arts since February 2010, and chose to write a piece on the importance of protecting actors and filmmakers from bullying, harassment and any kind of abuse in the workplace, following the disgracing of several Hollywood stars, including shamed producer Harvey Weinstein and actor Kevin Spacey. In a nod to the anti-harassment Time's Up campaign, which was setup in the wake of the several stars speaking out about their harrowing stories of sexual assault and inequality, William wrote: "Levelling the playing field and ensuring a safe, professional working environment for aspiring actors, filmmakers and craft practitioners - regardless of their background and circumstances - is vital to ensure film remains accessible and exciting for all. 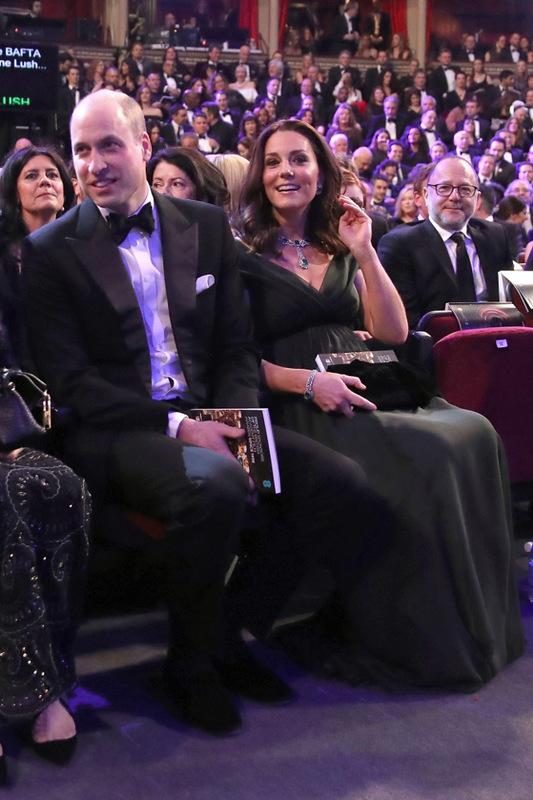 Whilst many women opted to wear all-black to show their support for Time's Up, the Duke of Cambridge's wife, Duchess Catherine - who is pregnant with the couple's third child - chose to wear a dark green gown at the ceremony on Sunday night at London's Royal Albert Hall, as it's believed royals are not supposed to engage in political protest. However, the Jenny Packman dress did have a black belt and the brunette beauty - who has four-year-old Prince George and two-year-old Princess Charlotte with the royal - carried a silky black clutch bag. 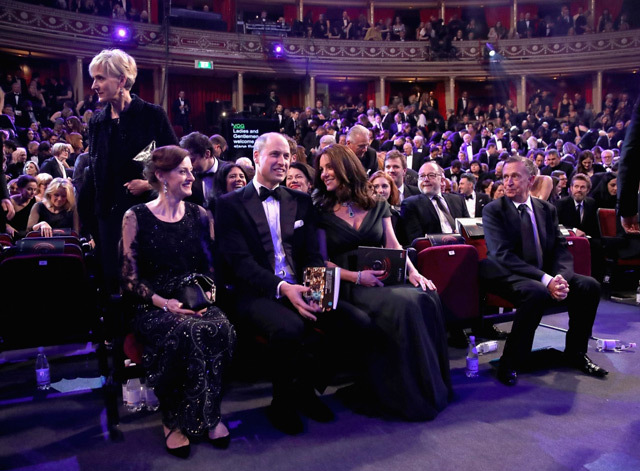 The royals had front row seats at the ceremony - hosted by British TV veteran Joanna Lumley - which saw the world's biggest stars in attendance, including Orlando Bloom, Angelina Jolie, Jennifer Lawrence and Salma Hayek.